Blank And Secure is a basic tool for permanently deleting files from your hard drive by overwriting them. 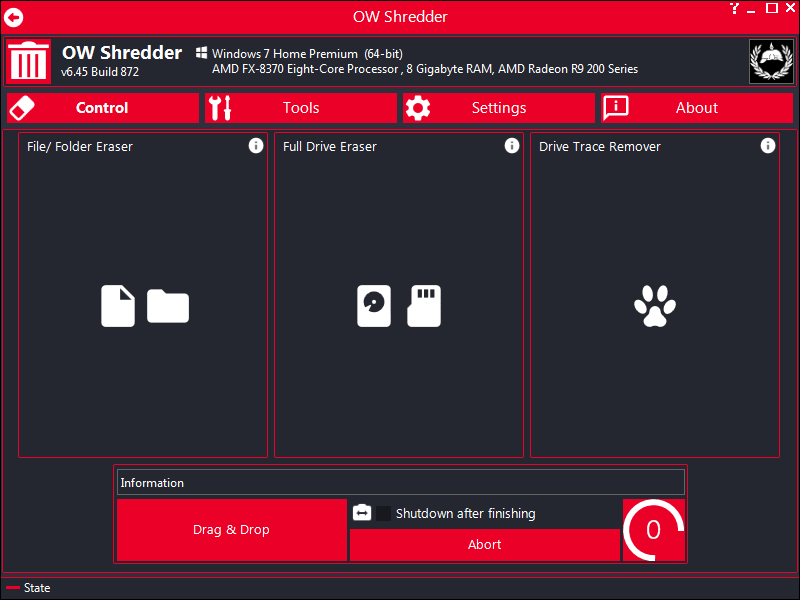 The program includes drag-and-drop capability, multiple overwrites for greater security and a free space wipe feature to help prevent recovery of files already deleted. New: The last window position and size is saved. Some customisations for Windows 10 and Server 2016. Small fine cuts / tuning, cosmetic corrections and improvements. Updating of the language files. I agree, for me CyberShredder is a better option. I use shredder.exe. It is less than 150kb and fast. As I work, I can move files to be deleted into a 'new folder', planted anywhere. When I am done, shredder.exe takes the 'new folder', and seconds later, it is gone. Loading individual files works fine, too. 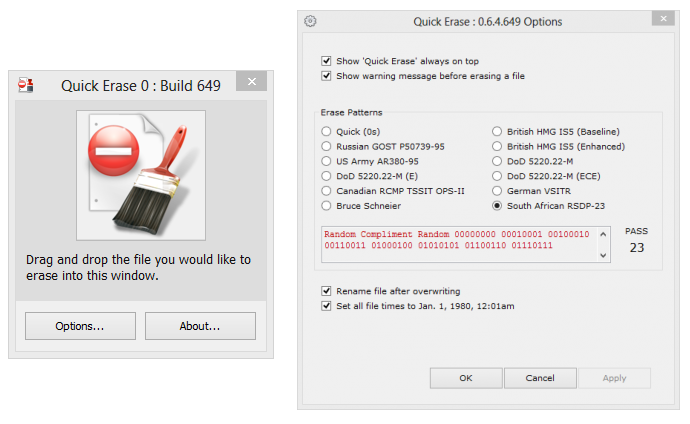 Quick Erase is a simple drag-and-drop file shredder, helping to prevent file recovery by renaming, overwriting, and resetting file date. The program offers 12 different deletion methods that vary from fast 1 pass approaches (zero-out or British HMG IS5), up to very slow 23-pass mechanisms (Rizonesoft's own South African RSDP-23). How to extract: Download the ZIP package and extract to a folder of your choice. Launch QuickErase.exe. PAYNE-3163H no called South African RSDP-23 Method.